At Oxford Duplication Centre we have been preparing microfilm scanning for many years. Our scanning process uses image processing technology to guarantee excellent results. Microfilm scanning is the process of extracting data on film images and converting them into digital fiels that can be read on a computer or other platforms. 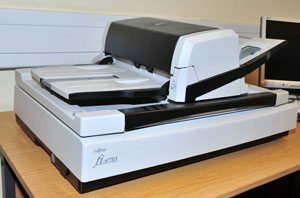 Our scanners are able to process and capture the image on the microfilm and convert to either TIFF JPEG or PDF formats. Many companies still hold their documents on microfilm because this was very popular for storage and space saving during the 1980s and 1990's. But today better advancement in digital stor4age versus film storage has become more convenient for extraction and viewback purposes. Microforms are any forms, either films or paper, containing microreproductions of documents for transmission, storage, reading, and printing. All microform images may be provided as positives or negatives, more often the latter. Three formats are common: microfilm (reels), aperture cards and microfiche (flat sheets). 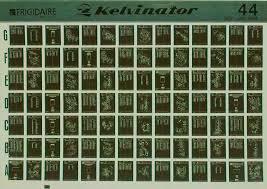 Microcards, a format no longer produced, were similar to microfiche, but printed on cardboard rather than photographic film. All prices exclude VAT. Why digitise your paper, microfilm or microfiche records? At Oxford Duplication Centre we believe that it is important to digitilise your paper, microfilm and microfishe records to preserve for future records. This also gives you access to many options in terms of storage and delivery. You can make high quality images available to any person that needs them. We can prepare your records in any format that you need, or in many formats depending on your requirements. These can be stored on CD or DVDs, USB or external hard drives. If you require us to keep a copy for your records then this is achievable too.